My story, “The Flower Unfolds”, was published last month in the pages of NIGHTSCRIPT 3 (2017), the annual anthology series edited by C.M. Muller. I first wrote the story a few years ago for a different anthology that was always just a hair’s breadth away from being published, but never was. Eventually, I took the rights to the story back and understood, almost immediately, once I had them that the best place for the piece would be within Muller’s journal. I believe I first encountered C.M. Muller’s work in the pages of SHADOWS & TALL TREES, where his story “Vrang” caught my attention for its subtlety and atmosphere. It stood out among many great pieces in that journal, and it was clear Mr. Muller was approaching his fiction on a wavelength that I was predisposed to receive. After this exposure, I discovered his blog, where he was reviewing books and interviewing authors, and in reading his criticism I came to understand that his connection to this sort of strange fiction wasn’t accidental or blindly intuitive, but came from a deeper knowledge and appreciation of what makes the “strange story” tick. So when he announced that he had decided to start editing and publishing his own journal dedicated to this sort of short fiction, I was confident the field would be in excellent hands. Still, I didn’t expect something so good, so polished, right off the bat. NIGHTSCRIPT is one of those rare journals that posits an argument for the strange story being the most exciting branch of the weird. Every story between its pages speaks to a central unstated philosophy of fiction and how it can operate on a subliminal level for various readers. These aren’t mere horror stories, or what many contemporary readers think of as weird fiction, but instead occupy a transient space where they achieve dissociative resonance in their exploration of the unknown. 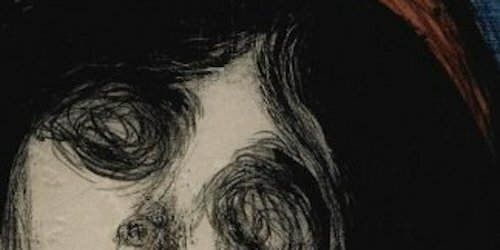 In short, Mr. Muller has been able to forge a journal in a mere two volumes (with a third on its way) that provides a definitive marker for the rise of sublime horror. For these reasons, and more, I’m pleased to have my story published within its pages. The story itself was an attempt to return to the Strange stories I’d written more of earlier in my career, before I found myself side-tracked by the growing Weird movement. It takes as its inspiration stories my mother told me of her days working in the city, combined with my own experiences doing the same (albeit in a different sort of job). With this, a little bit of Robert Aickman is woven through, and the end result I think is a story that touches on a lot of the anxieties we feel as we find ourselves more and more distanced from nature and from ourselves.